Want to know how to roll over your retirement account into a Digital Currency IRA? You may have heard about bitcoin at some point, but in case you have not, a bitcoin is a digitally based currency that works much like an investment. The value of a bitcoin increases and decreases, much like a traditional currency or other investment. And, because it is a recognized currency, meaning that it can be used to purchase goods and services from merchants that accept it and it is recognized by the IRS as an investment vehicle, you can now invest in bitcoin in an IRA. A Bitcoin IRA works much like any other retirement account. You make regular, tax-advantaged contributions to an IRS recognized retirement account that is set up and administered by a custodian. However, rather than investing in traditional investments like stocks, you invest your savings in bitcoins. Here are a few more things you might like to know about investing in Bitcoin. In order to utilize bitcoin in the marketplace, you first have to have a wallet in which to store them in. There are several options available for you to choose from. You will need a wallet in order to keep bitcoin in for investment purposes as well. Bitcoin only exists in the virtual world and can only be used electronically. You will never see a physical Bitcoin. How are Bitcoin transactions documented? Bitcoin transactions are recorded in a block chain, which is a public ledger accessible to bitcoin users. All transactions are confirmed and recorded here through the mining process. Accessible balances are calculated and new transactions and can be verified in each blockchain participant’s wallet. The record is permanent and cannot be changed, altered, or hacked. As you purchase bitcoin for investment purposes, your custodian will keep track of the units that you own as well as the block chains where they are recorded. Why do I need a Custodian for a Bitcoin IRA? The main purpose of having a custodian for your bitcoin IRA is so that the transactions are accurately reported to the IRS. This ensures that your IRA meets all of the rules and regulations for the IRS and you get to maintain all of the tax benefits that an IRA affords you. How are Bitcoin viewed in a Bitcoin IRA? The IRS currently recognizes Bitcoins as a property rather than a currency. Can I take an early withdrawal from my Bitcoin IRA? The same rules apply with a bitcoin IRA as with a traditional IRA, Roth IRA or company-sponsored 401k. If you take a distribution from your IRA before the age 59 ½, you will pay a 10% penalty for the distribution. 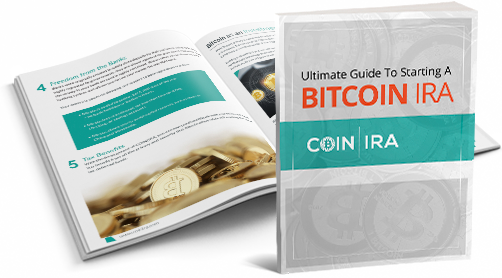 If your bitcoin IRA did not require you to pay income taxes on the money that you contributed, like a traditional IRA, you will also have to pay income taxes on that amount when it is distributed. If you paid income taxes on the money before you contributed, you will not be taxed a second time. As you can see, a Bitcoin IRA offers you yet another way to invest your hard earned money in a way to better diversify your retirement saving and investing strategy. If you are interested in learning more about the benefits of owning a bitcoin IRA, call today!